Muscleenergy are presently selling the extremeley popular Time To Run Men's Favourite Short Sleeve Running Gym T Shirt at a great price. Don't pass it by - buy the Time To Run Men's Favourite Short Sleeve Running Gym T Shirt online now! The one that started it all. 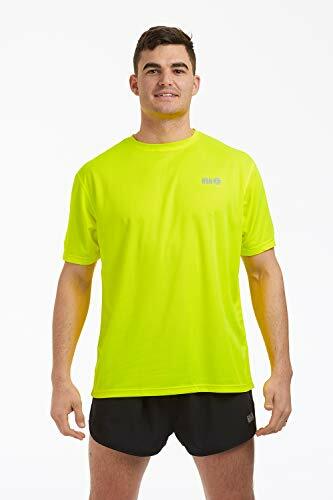 Offering outstanding value for money at only £9.99, the Men's Favourite Short Sleeved Running Shirt is manufactured out of a 150gsm lightweight polyester which has been treated so as to enhance both wicking and anti microbial properties. The flat seam construction and quick drying feature of the fabric makes the Favourite Short Sleeved Running Shirt ideal for the both the longest of runs and the longest of gym sessions. Add the anti microbial treatment and the garment offers stunning value for money.